Ninjas in Pyjamas have managed to break trough two year drought of not making into Major events. 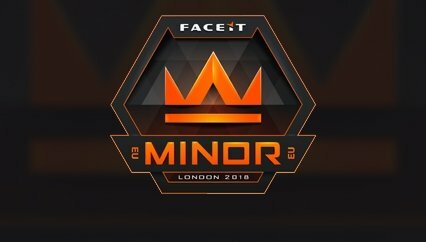 NiP secured spot at Major by taking down ENCE 2:1 in maps but stepped even higher by wining 2:0 against Optic Gaming in Grand final and bring home $30,000. It started mixed for Ninjas as they took down Red Reserve in group stage 16:14 but immediately after lost to Sprout in overtime to shake their position in group. As second in group they’ve placed in upper bracket where they had to play Red Reserve again but this time it’s Bo3 match where they’ve managed to take 2:0 win(16:14 Mirage, 16:12 Train). Their next opponent was Optic Gaming with it’s Danish lineup lead by René Cajun.B Borg. Everyone expected hard match as NiP didn’t play impressive during group phase. Optic was better side in this duel as they won 2:1 in maps(16:7 Nuke, 15:19 Overpass and 16:3 Inferno) and kicked NiP into lower bracket. From that point on, it was do or die for Ninjas as each loss will end their hopes of participating in Major while every win would keep the hope alive. Their next opponent was Sprout(who beat them once already) in bo3 match where NiP managed to overcome it’s faults and solid play of Sprout and get into top3 of the tournament. Next in line was Finish ENCE with raising star Jere Sergej Salo and veteran as coach Joona Natu Leppänen. Great performance by Jani Aerial Jussila have made a lot of problems to swedes by their experience and lots of do or die matches behind them kept them calm and eventually they’ve manage to break the resistance of Fins and walk trough 2nd map. Hard but deserved 2:0(16:12 Overpass, 16:2 Inferno) from Ninjas secured them spot in Major but they’ve had one more match to play. Grand Finals – Ninjas in Pyjamas -vs- Optic Gaming – were just formality and prize money difference as both teams have already secured spot in Major. Based on shown in finals it looks like Optic was satisfied with secured spot, while NiP had a hunger for the trophy(even though it’s qualifications). NiP lost to Optic in upper bracket(2:1) so a dose of revenge was surely present. NiP played better and won surely 2:0(16:8 Dust2, 16:7 Nuke) led by their new IGL Jonas Lekro Olofsson who was struggling in event so this good performance will surely help him in future.